NASA has discovered a possible volcano on Jupiter Io Moon. The data has been collected by NASA’s Juno spacecraft and the spacecraft has used its Jovian InfraRed Auroral Mapper (JIRAM) instrument. The x-ray data were collected on Dec. 16, 2017, when Juno was about 470,000 kilometers away from the moon. The Juno team will go on to calculate data collected on the December 16 flyby. According to NASA “Juno launched on Aug. 5, 2011, from Cape Canaveral, Florida. During its mission of exploration, Juno soars low over the planet’s cloud tops — as close as about 2,100 miles (3,400 kilometers). During these flybys, Juno is probing beneath the obscuring cloud cover of Jupiter and studying its auroras to learn more about the planet’s origins, structure, atmosphere and magnetosphere”. 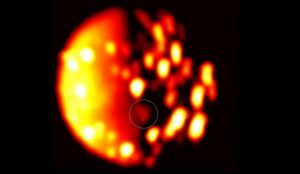 Io Moon is the largest of four Galilean moons of the planet Jupiter. It is the fourth-largest moon, has the highest density of all the moons, and has the least amount of water of any known astronomical object in the Solar System. It was discovered in 1610 and was named after the mythological character Io. 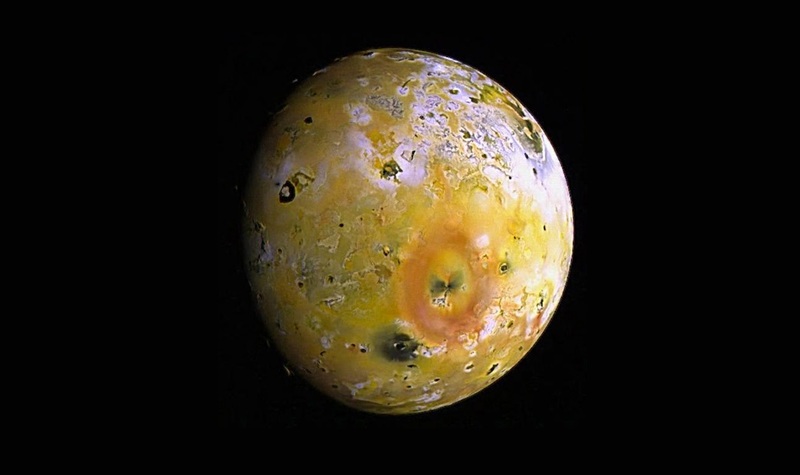 Io’s volcanism is responsible for many of its unique features. Its volcanic plumes and lava flows produce large surface changes and paint the surface in various subtle shades of yellow, red, white, black, and green, largely due to allotropes and compounds of sulfur. Numerous extensive lava flows, several more than 500 km (300 mi) in length, also mark the surface.